Help Jazz Services Keep Jazz On The Road! The nominations for the All Party Parliamentary Jazz Appreciation Group awards are open to the general public. To nominate your favourite and most worthy people in a variety of categories, including Musician of the Year and Services to Jazz, look out for the form on the Jazz Services website. Nominations will close on Monday 4th February, so please get your choices in quickly. Winners will be selected from the nominations during March, with the announcement ceremony slated for Wednesday 8th May at the House of Commons. An era truly came to an end yesterday (January 30) with the death of Patty Andrews, the last surviving Andrews sister. Inheriting the legacy of The Boswell Sisters, Maxine, Laverne and Patty (centre) set the mould for girl harmony groups that is echoed even today by the Puppini Sisters and others. They were as much a part of WWII as Glenn Miller, Betty Grable and Harry James. She held a lot of memories for me. Walter Smith III (ten); Matt Stevens (gtr); Michael Janisch (bs); Jeremiah Williams (dms). D and B were in Hall 2 whereas WS III was in the Northern Rock Foundation Hall - and there weren't many empty seats for this Jazz North East presentation. Keith's Café @ Newcastle University Jan. 29. The Newcastle University Jazz Orchestra: Josh Lane (flug); Tom Priestley (tpt); Jordan Alfonso (alt); Don Gillway (keys); Nick Loughlin (bs); Nathan Post (dms); Ella El-Salah (vcl). The re-naming of the Arts Dept. Café to Keith's Café was a loving gesture to a man who was very much a part of Uni life - Crombie regularly handed Jazz Café fliers to students as they left the campus for lunch - becoming a legend in the process. Tonight music students showed their appreciation with a spirited performance. Zoe Gilby @ The Cask, Scarborough. Jan 23. Vocalist Zoe Gilby and her band gave an evening of excellent entertainment at Scarborough Jazz on the 23rd January. This was their second visit and it was notable that their repertoire included more original songs than on their first appearance. This demonstrates - quite rightly - their confidence in such material. Some of these songs are inspired by novels: ' The Midnight Bell' describes a fictional pub that sounds worth a visit. 'Guilty Man ' and 'On The Edge' also had their inspiration from novels, while ' Your Words' was a recollection of disillusioned love. Zoe's first impressions of Marrakesh were captured in 'Red City'. Zoe Gilby and Andy Champion are off to Finland to perform at the The Pakkasukko Jazz Festival.held February 1- 3. Actual times have yet to be confirmed but if you happen to be in Finland this weekend check them out - two great ambassadors for North East Jazz. 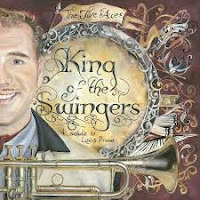 CD Review: The Jive Aces - King of the Swingers. Jan Clarkson (vcl/tpt/uke); John Fordham (ten/vln); Alex Douglas (tmb/washboard); Vince Hurley (pno); Ken Smith (bs); Peter Rowell (dms); + Rebecca Grant (vcl) + Kenny Ball (tpt/vcl); Ray Gelato (ten/vcl); Toni Elizabeth Prima (vcl); Marco Palos (alt); Hossam Ramzy (perc); The Flirtinis (vcl group). King of the Swingers is an appropriate title for this disc as indeed it is for the Jive Aces themselves and of course the original King of the Swingers - Louis Prima for whom this CD is a salute to. Just as they took the Customs House, South Shields, by storm last Friday they repeat the achievement on disc in my own house! Jazz Photographers Past and Present. Jazz and photography have gone hand in hand practically from the day the first Blue Note was heard in New Orleans and the moment was captured by a George Eastman Kodak camera. Since then those early grainy images have been developed (no pun intended) to today's digital imagery. There's ne'er a major festival nor a gig in a pub that doesn't have some happy snapper (often me!) shooting at The Hip. When it comes to pros however, it's a different matter. Those wonderful shots by William P. Gottlieb. personified jazz in the 1930's/40's. William Claxton just about made the 1950's onwards his own - the unforgeable shots of Art Pepper or Chet Baker told you almost as much about the subject as the music itself. These were Americans but there were also British photographers - David Redfern perhaps the most well known from these shores. And locally too, Kaveh Emami has taken some stunning shots at the Jazz Café including this one of Paul Gowland taken at Keith Crombie's wake at the Town Wall Pub. The photo of Sarah Vaughan (above) was from the work of the legendary Toronto Photographer the late George Hoeffler. Hoeffler left behind some stunning, pre-digital, work which is available in poster form from Blue Sun Images. Check them out. The Arts Dept Café - to be renamed in honour of the late Keith Crombie as "Keith's Café" tomorrow is in the same building as the Hatton Gallery. From Barras Bridge/Haymarket walk on to the campus, up the stairs between Northern Stage (formerly University Theatre) on your right and the Students' Union on your left, head through the arches, the Fine Art Department is up the stairs on the left. Alternatively, from Queen Victoria Road walk through the gate between Armstrong Building (King's Hall) and Percy Building. The actual address is: Fine Art Department, The Quadrangle, Newcastle upon Tyne NE1 7RU. The funeral of Ray Chester will take place on Friday February 1 at Sunderland Crematorium Chester Rd., Sunderland at 1pm. Ray's son Ian has invited friends back to Ray's house for refreshments afterwards. Ian would also like musicians to bring their instruments for a jam session as a fitting tribute to Ray. I'm indebted to Don Fairley and Peter Morgan for passing on the above details. Would you like to hear the Paul Simon song Further To Fly with a tricky latin beat, sax cutting across, sung by a sweet-voiced woman who knows how to express the lyrics? Or King Crimson’s Heartbeat, with fully explored rhythms on the bassoon; or Tom Wait’s Swordfishtrombone, a wonderfully witty black comedy narrative about a war veteran? These and many other delights await you on this CD. Then there’s the saxophone solo on a jazz version of Wondrous Stories; the catchy melody of Mark Knopler’s Your Latest Trick; or Slow Like Honey, played with additional strings which flow down the tune, just like honey. Ex-Extreme @ Splinter @ The Bridge. Pete Tontin (tpt/flg); Mark Williams (gtr); Stuart Collingwood (pno); Stuart Davies (bs); Steve Wall (dms). Davies, back on 4 strings after Thursday's Hoochie gig, not only laid down a strong bass-line but also contributed several compositions to the session. In fact they all did with the exception of drummer Wall who made up for it by keeping it all together with some powerhouse percussioning. Greg Spero to Return to UK. Thanks to David Gosling for this update. Alan Barnes and John Hallam @ Boston Spa Jan. 26. 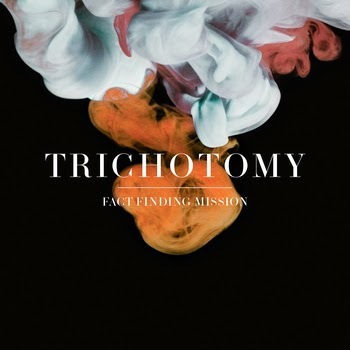 Fact Finding Mission is Trichotomy’s third album for Naim Jazz. The Australian trio’s addition of guitar, percussion, reeds and samples on some of the tracks introduces a new dimension to the group sound. The title track’s use of samples instils urgency, menace and tension. Civil Unrest achieves similar results; John Parker’s sparkling drumming and guitarist James Muller’s brisk soloing sustain the piece. The Brook spotlights the core trio - Sean Foran (piano), Parker and bassist Patrick Marchisella - to good effect. Foran deploys a percussive approach, develops sinuous lines and has surely listened to Dave Brubeck. The ballad form is heard on Lullaby placing Trichotomy firmly in the piano trio tradition and the closing number Brick by Brick featuring Dva (percussionist Tunji Beier and the reeds of Linsey Pollak) illustrates the breadth of material handled with ease by a first class contemporary Australian jazz group. The Aussies must like a British winter as they are about to reach these shores to go on tour! The Stables (Tuesday 5 February) in Buckinghamshire kicks-off the ten date tour and ten days later winds up at Matt n’ Phreds in Manchester. Fact Finding Mission is available at gigs and at www.naimjazz.com. CD Review: Wayne Shorter - Without a Net. Wayne Shorter (sop/ten); Danilo Perez (pno); John Patitucci (bs); Brian Blade (dms). Wayne Shorter makes a mind-blowing return to Blue Note Records 43 years since his trail-blazing albums Speak no Evil and Schizophrenia, to mention but a couple. Now 80 year old, his playing shows no signs of deterioration on this predominantly live recording and he displays a commanding presence soaring above the rhythm section with the the swagger and panache of a latter-day Coltrane and considerably more lyricism. Jan Clarkson (vcl/tpt/uke); John Fordham (ten/vln); Alex Douglas (tmb/washboard); Vince Hurley (pno); Ken Smith (bs); Peter Rowell (dms); Rebecca Grant (vcl) + Dancers. This was a roller-coaster ride that took us from the opening When Your Smiling to Oh Marie and the interval. I don't know how the band felt but we, the audience, were exhausted! Paul Edis (pno); Neil Harland (bs); Adam Sinclair (dms). The blurb for the Monday night gig at the Cherytree said the Paul Edis Trio would 'salute the pianists of yesteryear'. To the uninitiated, a somewhat unpromising title maybe with the old-fashioned language suggesting an evening of Mrs Mills perhaps, or Russ Conway. But I knew better - this event was not to be missed. Occasionally at gigs, I have heard Paul play pieces from the early jazz piano players, particularly a fabulous version of Tea for Two by Art Tatum, and there have been reports on BSH of him re-creating pieces by other stride piano greats. And of course, his shows presenting the life and work of Bill Evans have been terrific. So (hopefully) to get all of these and more in one show was going to be a treat. One of the north east's most respected musicians passed away this morning surrounded by his devoted family. Ray Chester was a renowned north east band-leader trombonist, trumpet player, pianist, educator and arranger. As a leader his band won several prestigious awards whilst as a player he enhanced many bands with his smooth trombone playing. I last met him at the funeral of his frequent musical collaborator Stan Coates. Wheelchair bound he looked vulnerable and frail but still managed to chat with those he knew - which meant everyone. Funeral details to follow. Thanks to Mia Webb for passing on the sad news. PS: I came across this report from 2002 of Ray's success in the BBC's Big Band Competition. Stuart Davies (gtr/vcl); John Waugh (ten); Paul Edis (pno/alt); Liam Fender (keys); Ian Patterson (bs. gtr. ); Dave Lourie (dms). This was an experience! Davies, former bass guitarist with Extreme Measures, has added a couple of extra strings and some words to his CV the result being The New Standard. Quite a band. To say tonight's gig began franticly would be like describing WWII as 'a game of soldiers'. This was Jazz/Funk taken to the limit by guys who maybe aren't really jazz funkers at heart - or maybe they are. Whatever, the Herbie Hancock opener - Hang-up your Hang ups set the bench mark. Further to Russell's previous post here are the details for next Tuesday's memorial to Keith Crombie at the Art's Dept. Café at Newcastle Uni.. It is also the official opening and re-naming of what was 'The Art Café' to 'Keith's Café'. Could he have wished for a greater epitaph? And has ever a non-playing jazzman been given so many accolades? I hope you rest in peace Keith but it may be a while. Nobody accepts that you've gone "Up There" or, more likely, "Down below". Lance. Take it to the Bridge @ The Chillingham. January 23. In the continued absence of Dave Weisser it was down to trumpeter Don Forbes to keep the show on the road. The horn section, seated at ninety degrees to the rhythm section, suggested an element of organisation never before seen at the Chilli (only kidding Dave!) and it was Forbes who laid down exemplary solos, setting the standard for the ensemble. North East heat of the New Brunswick Battle of the Blues. The evening promises to be a fantastic night out for live music lovers. Doors open at 7.00pm for an 8.30pm start. Entry costs just £6. A tasty, well-seasoned performer served with a generous portion of classic jazz and 5 helpings of Vieux Carré Jazzmen. - Brian. Keith's Café @ University Arts dept. There is to be a jazz night next Tuesday (29th) in the above building in memory of 'The Jazz Man'. from 5:00 pm onwards with live music from Newcastle University Jazz Orchestra. Entry is free. A couple of students confirmed it is open to the public. The music starts 'by five thirty'. On the night the Art Café in the department will be formally re-opened as 'Keith's Café'. The wood panelled Recital Room in Armstrong Building, Newcastle University has a certain austere feel to it, just as it should be at a prestigious seat of learning. Interim recitals are being held throughout the week - classical, folk and at two o’clock today a jazz guitar recital by Mike Papapavlou. Mike has been on the scene for a couple of years and it was obvious from first hearing that he could play. He has sat in around town - Dave Weisser’s workshop at the Chillingham, the Jazz Café and Hoochie Coochie to name but three hangouts. Come down and listen to Stuart Davies and The New Standard at Hoochie Coochie this Thursday January 25. 8pm (ish). It's free and cocktails are 2 for 1 till 10pm - why go anywhere else? CD Review: Pamela Hines - 3.2.1. Pamela Hines (pno); David Clark (bs); Yoron Israel (dms). We seem to have had an abundance of piano playing Pamela persons lately - well two actually, the other one being Pamela York. Both are fine players and it would be unfair to draw comparisons and I can honestly say I enjoyed them both in equal measure. Schmazz, the Tyneside jazz promoter set up by local musician Keith Morris, and run by a voluntary committee since his tragic death in a hit and run accident, has managed to secure a rare Tyneside appearance by Shatner’s Bassoon, the young six-piece Leeds based jazz rock outfit tipped by the music press for a Mercury Music Prize nomination this year. This comes after the sell-out Schmazz gig in December showcasing Roller Trio, who were nominated for the 2012 Mercury Music Prize and the 2012 MOBO Awards. It was a typical day at Bebop Spoken Here HQ A.K.A. the back room at Joe's - a waterfront dive. I was listening to Bart Pepper (Art's lesser known brother), Russell was digging the Outer Siberian Jazz Quintet - they are the coolest! Ann was painting her toenail whilst listening to the latest Folk/Jazz offering from some folk who claimed to be jazz musicians (or was it jazz musicians who claimed to be folk?) and Debra was running up and down the scale in Bb leotards. We were just about ready to put the baby to bed when the news broke - Duke Ellington was dead! Southport Jazz Festival set to return for a 13th year and a brand new home. The Atkinson, Southport’s state-of-the-art new venue has announced it will be home to the 13th annual Southport Jazz Festival, which will run from Friday 10 to Sunday 12 May 2013. The festival has firmly established itself as one of the regions premier music events and will feature a whole host of internationally acclaimed artists from the world of Jazz. The line-up includes James Morton’s Pork Chop, James Morrison with the Swingshift Big Band, MOBO Award winners Kairos 4Tet, Joe Stilgoe Trio and up and coming talent including Go Go Penguin. Southport Jazz festival is to be one of the first events to be hosted at the brand new Atkinson venue, a cultural jewel in the crown of the seaside resort. It is a long-awaited £17 million development of the old Southport Arts Centre, Atkinson Art Gallery, Botanic Gardens Museum and the central Library and is due to open early May 2013. The death was reported in the Shields Gazette last night of Vince Bovill. Vince was born in South Shields but graduated via local palais bands to London where he joined the Vic Lewis Orchestra in 1949 playing second tenor alongside another South Shields saxophonist, Kathy Stobart. For more details go to Jazz in Yorkshire. Gort * were astounding at Hexham Jazz Club this week. The trio describe themselves as playing ‘rhapsodic grooving standards and original works’, but they forgot to mention that they are three superb musicians who interact seamlessly and sensitively while adding layer upon layer of interest. This is captivating and infectious stuff for the listener with lots of melody and rhythms to make you smile. Alan Law (piano), John Pope (double bass) and Jeff Armstrong (drums) are a perfectly balanced trio - they all lead and accompany. And they can all play stupendously fast and clever phrases, but only when the music requires it. Not a show off in sight. They dissected some standards (One By One) (My Favourite Things), turned them inside out, played around with time and goodness knows what else, but the music was the definite winner. You are going to have to hear them for yourself to find out if they are your new favourite band. *‘Gort’ is the name of the robot in ‘The Day the Earth Stood Still’ – should have been ‘The Day the Earth Moved’. Debra Milne Ensemble @ The Bridge Hotel. January 20. Christmas done, New Year done, Splinter at the Bridge is back. Hello snow. The few turned out to hear Debra Milne. The Newcastle based vocalist has assembled a trio of musicians of some pedigree. Guitarist Steve Glendinning knows his instrument, Paul Susans is an in-demand bass player and young drummer Rob Bates has developed at a rate of knots. Milne presented two sets of balanced material; bop standards, a bossa, a couple of original tunes (Glendinning is a song writing partner) and a tune for KC. An intriguing aspect to Milne’s performance is a penchant for writing lyrics to bebop charts - Killer Joe and Good Bait being two such classics. Jobim’s How Insensitive highlighted the delicate playing of Glendinning, No More Blues swung as did Four with the Jon Hendricks lyric and an original - Show Me the Man - suggested there is a budding lyricist in our midst. Milne was a habitué of the Jazz Café on Pink Lane and the untimely death of proprietor Keith Crombie inspired the tune The Jazz Caff Song and with it the set drew to a close. This evening I was wearing my other musical head, at South Shields Folk Club, where there was an entertaining, and true, banjo story and also many burger tales (or should it be tails!). John, a banjo player, who is also a model railway enthusiast, was at a model railway exhibition some years ago. He was playing his banjo to entertain himself when the stall was quiet. Another stallholder complained to the exhibition manager, instead of approaching John first, and the manager told him to stop playing, which he did reluctantly. John returned to the same exhibition last year – the other stallholder was nowhere to be seen and it turned out that the exhibition manager was dead! John reckons this was the curse of the banjo! I bought a bottle of Bacardi, a bottle of navy rum and some burgers – white rum, dark rum and Red Rum. I showed the assistant in Tesco’s the barcode and she handed me a zebra. In 1997, I was singing in a hotel in London. A woman approached me and asked me if I could sing NEVER LET ME GO. I exclaimed, "What a great song! YES, I would love to sing it for you!" She smiled and pointed to her table in the far corner and said, "You see that man over there? Well, that's my husband and he wrote it." And that was the first time I met the great Jay Livingston and his wife, Shirley. It was an honour to sing for them that night. Jay came up to us after the set and told me that I had sung his song exactly as he hoped it would be sung. I was completely overwhelmed and knocked out. It was one of the most magical moments of my life, to sing this exquisite song to the person who had given it life. We kept in touch until Jay died in 2001. He used to love to send me little notes by fax and I've kept them all. That night and that friendship are among the most special memories of my life. What a magnificent songwriter and person! Ten years later, I recorded NEVER LET ME GO by Jay Livingston/Ray Evans. Stacey Kent (From Facebook with permission)..
Liz, Our Lady in York, has brought this Sunday night program broadcast on BBC Radio York from 6-9pm to my attention. 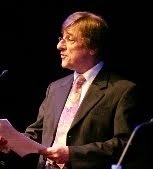 Presented by Gary Copley it offers a choice selection of jazz, swing, big band and quality vocals. Somewhere along the way he has a Harry Connick Jnr. track coming up In the north east, Connick's name will forever be linked with Crombie's so it is perhaps a fitting choice, however accidental (accidental? I don't know - some things are unexplainable!). Currently Copley's playing some Frank Wess tracks. Link to BBC Radio York. CD Review: Billy Cobham - Warner's Original Album Series. In 1973 after working with Miles Davis and being a founding member of John McLaughlin’s Mahavishnu Orchestra Cobham formed his own Jazz Rock Funk Fusion band. This budget box series covers the five albums recorded between 1973 and 1975 and is a real treat for anyone who is either an aficionado of this genre or a drumoholic like myself. Crombie Video by Duncan Davis. Lovely video documentary by Duncan Davis - Crombie. Gosforth High Street resembled a scene on a Christmas card - giant snow flakes, lots of them, threatening a white-out, settling under foot. The Newcastle suburb looked a picture - if you like that sort of thing. Trinity Church and Centre isn’t an obvious choice as a jazz venue yet good numbers invariably turn up for their monthly fix of the music. This bleak mid winter night deterred all but the hardy (fool hardy?). Once inside, the bottle bar was a first port of call. Hadrian Border’s Farne Island looked the pick. The audience looked rather thin (numerically). As the first set got underway the audience had beefed-up (numerically). The attraction? Digby Fairweather, no less. The Road to Spaghetti Junction. Lance Liddle : I first met you when you joined the Newcastle Big Band in the early seventies playing second alto. Although you were very young, your playing had absorbed much of Charlie Parker and other bebop players. How did this come about? Did you have a musical family background? Jazz North East’s first gig of 2013 brought trumpeter Nick Malcolm to Tyneside. It was a case of Trains, Planes and Automobiles in getting the quartet to the Bridge Hotel. Malcolm travelled in the auto with pianist Alex Hawkins, encountering heavy snow north of Yorkshire. Olie Brice and his bull fiddle let the train take the strain and it was down to the affluent drummer Mark Whitlam to take the short-hop plane journey from Bristol to Newcastle (only joking Mark…there was a cheap flight available!). Whitlam arrived with sticks in hand (Splinter’s house kit was at his disposal) having caused alarm at Bristol airport - officious types suspected he posed a terrorist threat! What to do? Whitlam took out his brushes to demonstrate a shuffle! Jazz North Announce Northern Line Ambassadors. There was me all geared up for tonight's Customs House concert - Kinda Bixish - with Digby Fairweather stepping into the role of the iconic but ultimately tragic cornet player from Davenport, Iowa. Yes I was looking forward to an evening of Bix. And then the snows came. The warmth of the radiator on the wall and the uncertainty of the buses, meant no Bix for me tonight. Tomorrow Digby 'does' Ruby Braff at Gosforth but will the weather have improved? Likewise, let's hope conditions are better for Sunday's two girly gigs - Debra at the Bridge and Carly at Hoochie. Hopefully, at least by Monday, things will have taken a turn for the better and I will make the Paul Edis Jazz Piano Tribute at the Cherry Tree. Elsewhere, this gig has been listed as being £10 admission giving you 2 courses and the Edis Trio. This was the deal when the venue first started promoting jazz 3/4 years ago but now the deal is 2 courses for £15. Brigitte Bereha – vocals; Tomas Challenger – tenor saxophone; Ivo Neame – piano, Fender Rhodes, Keyboards, accordion; Rob Updegraff – guitar; Dave Manington – double bass; Tim Giles – drums percussion. Hullabaloo, an album by Dave Manington’s Riff Raff project, developed from several years of improvisation and collaboration, with a number of London based contemporary jazz musicians. He sets his stall out in the first track, Agile, which begins with a sweet rhythmic figure, then moves through a number of time signatures and key changes, and includes a freely improvised section with bass and drums. Issued as part of the important Warner Brothers' Original Album Series this 5 CD set brings together Franks first five albums covering the period from 1976 to 1980. Crusaders Joe Sample, Wilton Felder and Larry Carlton are among the personnel on Frank's first album The Art of Tea (1976). The other four are; Sleeping Gypsy (1977); Burchfield Nines (1978); Tiger in the Rain (1979); and One Bad Habit (1980) and each one is delightful - just so so relaxing.. The arrangements are classy with some cool vibes work and impressive sax playing and of course that contemporary, cajoling, crooning that still sounds valid today. It's undeniably Smooth Jazz but the voice, the material and the arrangements puts it way above mere elevator music. This is music for the Penthouse - seduction guaranteed! 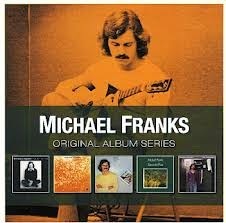 Michael Franks - Original Album Series is released on January 28, 2013. CD Review: The Summarily Dismissed: To Each! Ari Shagal (vocals, keyboards); Ferima Faye (Vocals); Matthew Lomeo (vocals); Joe Davi (guitar); Pat O’Leary (bass); Eric Halvorson (drums); also Kenny Washington (jazz vocals); Nydia Mata (congas, bongos); also others on trumpet, trombone, saxophones, vibraphone. This is a fine début album from Ari Shagal’s band The Summarily Dismissed. Most of the songs were written by Ms Shagal, who hails from New York. I’d classify this as ‘intelligent pop’, such as you hear in the likes of Nero coffee shops, stuff you like but can’t put a name to. Regrettably there is no access to the music room for the users of wheelchairs. £8.00 & £6.00 concessions (senior sixties,unwaged &students) at the door from 7.30pm. Sorry folks, but there's no Horse Burgers at The Millstone - they only use Aberdeen Angus Minced Beef. Thursday's meeting at Gosforth is on and the going is 'Good to firm'. The Vieux Carre Jazzmen will be 'off at a gallop' at 1.00pm prompt. I've been so involved with the death of Keith Crombie that I sadly missed the passing of jazz author Jim Godbolt who, bizarrely, seems to have shared a number of Crombie's traits - cantankerous and kind being a couple of them. Best known for his books; Jazz in Britain 1919-1950, Ditto 1950-1970, All This and 10% and the follow up All This and Many a Dog he also edited the Ronnie Scott Club house magazine JARS (Jazz At Ronnie Scott's). Godbolt's writing was informative and often very funny and he will be missed, not just in London, but by any admirer of Jazz prose. Jim died aged 90 on January 9. CD Review: Pamela York - Lay Down This World: Hymns and Spirituals. Pamela York (pno); Lynn Seaton (bs); Sebastian Whittaker (dms); Andre Hayward (tmb on 2 tracks). A delightful vignette that shows Ms York to be a talented and tasteful pianist - also a spiritual one. The eleven tracks all have sacred, often familiar, themes yet there is nothing sacrilegious about the performance. The lady treats the tunes with respect adding her improvisations in a delicate yet meaningful way. Hey, do any of you guys on Tyneside who have a literary as well as a musical bent fancy reviewing CDs for this blog? You don't get paid but you do get to keep the CD. I've got a backlog building up and I need help! The criteria is that you can give a fair assessment of a CD that is within your stylistic preferences (mainly modern/contemporary), an ability to do it quickly and possess a moderate command of the Queen's English. Email me if you're interested stating your jazz preferences. Musicians might like this site. PS: As well as a lead sheet it includes recorded examples! A group of local residents, jazz lovers, musicians, poets and others are forming a community co-operative with the aim of running Newcastle’s iconic Jazz Cafe, which closed following the untimely death of the proprietor Keith Crombie on 29 December 2012. We plan to preserve the commitment to live jazz and poetry and the unique ambience of the venue established over the last 20 years. We believe that with a sound business plan and the goodwill of the many people who admired the Jazz Cafe, the new co-operative will be able to attract the members and investment needed to succeed. CD Review: Chris McNulty - The Song That Sings You Here. Chris McNulty – voice; Ugonna Okegwo – bass; Marcus Gilmore – drums; Paul Bollenback – guitars; Andrei Kondokov – piano; Graham Wood – piano & Rhodes; Igor Butman – tenor & soprano sax; Anita Wardell – guest vocals. Chris McNulty is a New York based jazz singer, who has established her reputation over the past decade or so playing in the US, Australia and Europe. The album was recorded with her regular group of international musicians from New York, Australia and Russia. Evening Chronicle Live has this review and video link to yesterday's funeral. THE BIG SCORE! --JAZZ IN THE MOVIES ! "THERE ARE FEW GREAT MOVIES ON JAZZ - BUT MANY MOVIES MADE GREAT BY JAZZ"
Music historian Chris Phipps traces the extraordinary trip taken by jazz on the big and small screen . Jazz has evolved from a patronising novelty to becoming a major force of big screen creativity with the advent of cinematic post war social reality and rock n roll.. Chris will be paying tribute to Quincy Jones ,Lalo Schifrin, MJQ ,Miles Davis, and crossing over into jazz/funk/electronic territory too. Whether it's "THE WILD ONE" , "THE MAN WITH THE GOLDEN ARM" ,"BULLITT" or our own "GET CARTER", you’ll be in for some big car chases! Farewell My Lovely/ The Long Goodbye Part 2. Crombie was finally sent on his way to sleep The Big Sleep. But what a send off! In his oratory, "Bertie" compared the occasion to a State Funeral and he was right! Diana's procession may have been longer but, it didn't seem that much longer! The parade left the Jazz Café behind two magnificent black horses pulling the hearse. The band struck up with St. James Infirmary and the cortège headed for St. Thomas' Church by a somewhat devious route. We brought the traffic to a standstill but I didn't hear one horn tooted in anger. I don't know how many were in the parade but it seemed to stretch almost to the horizon! Sebastian Scotney of the LondonJazz blog has added his own take on the events of the past fortnight. Lance Liddle's Newcastle-based Bebop Spoken Here blog has done a typically superb job, in the past fortnight, carrying several tributes to promoter Keith Crombie, a lynch-pin of the local scene, who died on December 29 at the age of 74. The role that a great blog like Lance's can have in bringing communities with a shared passion / interest / purpose together at difficult times is just beginning to be understood. Keith will leave the Jazz Cafe for one last time at 9.30am - he will be taken by Horse and Carriage through the City. He will be accompanied by a Marching Band. The procession will make it's way along the streets of Newcastle to the Church Of Saint Thomas The Martyr, The Haymarket, NE1 7PF where it will arrive slightly before 10am. The Memorial Service will commence at 10am. For the able bodied who wish to walk through the City with Keith please assemble at the Jazz Cafe no later than 9.20am - he will be leaving at 9.30am prompt. For those unable to join the procession please assemble no later than 9.50am at Saint Thomas's. Following the service there will be a private internment for Family members - Keith will be buried with his Mum & Dad. For those attending the service - all are invited to The Wake which will be held at The Town Walls Public House, Pink Lane directly after the service - there will be some bait laid on and maybe even the odd chicken burger. A band will play in the Cinema Room for those needing a Jazz fix. One of the outstanding concerts of the 1983 North Sea Jazz Festival held in Den Haag was the session by the George Gruntz Concert Jazz Band. It was a star studded line-up that included Tom Harrell, Palle Mikkelborg, Howard Johnson, Julian Priester, Bob Moses, Charlie Mariano (pictured soloing) and of course Gruntz leading from the piano. Oh yes, they also had a vocalist - Sheila Jordan. It was a memorable mix of many nationalities but the music spoke with one tongue - modern jazz. Therefore it is with much sadness that I received the news that George Gruntz had died, age 80, on January 10. Two Chances to Dig Digby Next Week. Hello everyone, and welcome to a New Year of traditional jazz! This coming weekend offers a chance to hear trumpeter Digby Fairweather in two different musical settings. Digby is of course well-known as a bandleader, broadcaster, author and seven-times winner of the prestigious UK Jazz Awards trumpet poll. 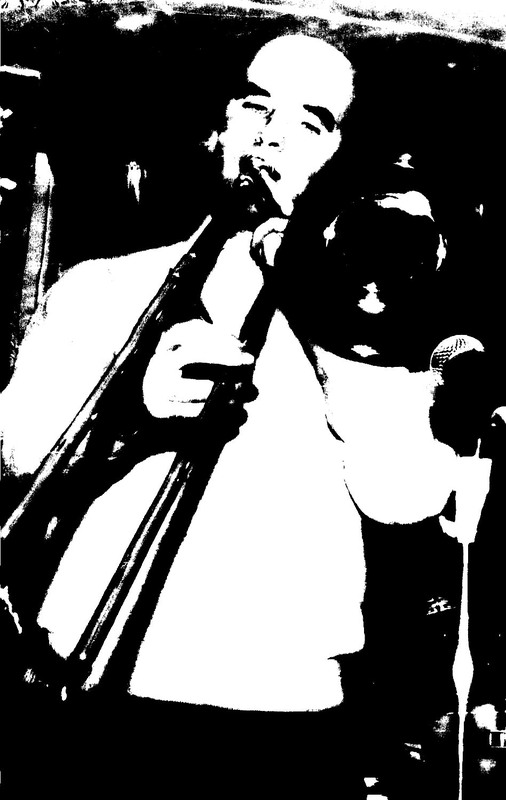 Initially influenced by Louis Armstrong, he switched from trumpet to cornet and gradually evolved his own distinctive style incorporating Louis' fire with the melodic sophistication of giants such as Bix Beiderbecke, Wild Bill Davidson, Bobby Hackett and the late Ruby Braff, playing with a mellow tone and supreme technical facility. He also supplies wryly humourous commentary between tunes. Claude Nobs, founder of the Montreux Jazz Festival - regarded as one of the best jazz festivals in the world - died on January 10 following complications from a skiing accident. He was 76. Debra Milne (vcl); Steve Glendinning (gtr); Paul Susans (bs); Rob Bates (dms). Debs has got herself a nice little combo here. Even with (even with!) Paul Susans depping for Mick Danby it is a tight little unit. Debra herself looked stunning in a mini dress - can this slip of a girl really have grown up children? She surely does and, since I first heard her, her stage presence and confidence have grown enormously. Tonight, in her inimitable style, numbers we heard included; There Will Never Be Another You, No Mo Blues, Close Your Eyes, Killer Joe. A couple of originals by Steve and Debra - Stay and Don't Come Round Here Any More - and Horace Silver's Senor Blues. It was a good set with some stunning solos by Steve Glendinning and Paul Susans - perhaps the north east's most underrated bass player. The London Pride was renewed and Happy New Years exchanged all-round before the second set got under way with Tell Me What's Really Going On? A duo number with just vocal and guitar. Bass and drums returned to set the scene for a sassier set that included Four, How Insensitive and Tom Waitts' Temptation. However, the evening's highlight was an original dedicated to the late Keith Crombie - Jazz Café. Appropriately enough it opened up with the descending introduction to Ray Charles' Hit The Road Jack! A good, meaningful lyric by Debra and a strong tune by Steve underpinned by bass and drums. Kav was on hand to take photos. CD Review: Asuka Kakitani - BLOOM. Japanese - born Asuka Kakitani leads an 18 piece contemporary jazz orchestra playing in a style reminiscent of the work of Maria Schneider, Bob Brookmeyer or Vince Mendoza all of whom are descendants of the great master of modern jazz orchestration – Gil Evans. The word "investment" is the stumbling block. There are still a few places for the first jazz-at-heart residential jazz weekend of 2013 which takes place from 8th to 10th February at Dalesbridge (near Austwick) in North Yorkshire. More fun than you can imagine – and great music-making! Led by the talented Matt Roberts and supported by a great ‘house band’ of Sam Watts and Sam Gardner (TBC). A bargain at £250. Email lesley@jazz-at-heart.org.uk if you would like more information. Mike Carr's Blue Note Band Re-visited. The Long Goodbye Part One. Keith Crombie feature in Sunday Sun today. Sunday at the Jazz Café. Debra Milne launches new website.